The 2018 golf season is upon us and the local courses are all open; It is quite possible some of you already have your first round of the year in the books. Did you miss the game this winter? Of course you did, because absence makes the heart grow fonder as they say and golf is no exception to the rule. When you are forced into a separation from something you love – for months on end – it is only natural to miss it deeply. Golfers in March are a lot like little kids at Christmas. They literally vibrate with excitement and anticipation as they await opening day. In the dead of winter they would have done anything to get outside and squeeze in a round. In most cases they would have simply been happy to play at all, regardless of whether or not the score was good or bad. With that said, let me start this season by presenting you with a small task. Grab a notebook and begin making notes on how much you love the game and why. Be sure to list all the reasons you love the sport so much and how the optimism of a new season makes you feel both inside and out. Leave no stone unturned when it comes to listing the real reasons you love the game. Make detailed notes on things like exercise opportunities, being outdoors, socialization, the camaraderie and the personal challenge you feel. 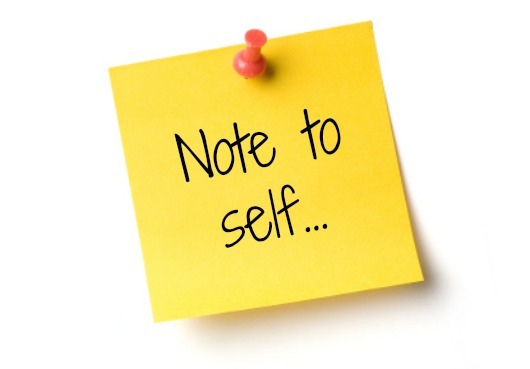 Once you are done with your notes, put them in a sealed envelope and place it somewhere inside your golf bag. You will need it later in the season, and trust me, you will thank me when you do. Hitting a plateau or hurdle. As the season progresses, you may find yourself in a slump at some point. Don’t panic as that will only lead to stress and anxiety, which ultimately corrupts your thinking and leads to loss of perspective and enjoyment. The fastest way to get out of a slump is to reset your attitude and focus; this is where your pre-season notes come in handy so reach in your bag and open them up. At times we need to be reminded of just how lucky we are to play at all. We need to re-emphasize the reasons we love playing the game in the first place. Nobody better to remind you than you. Reading your pre-season notes to yourself will help put a smile on your face, a jump in your step and add some much needed perspective in your head and heart. The best part is the fact the advice comes from you…that makes it tough for you to argue against. The sooner you remember how lucky you are to even be playing at all, the quicker you will come through your slump on the other side…so get out that notebook and start writing!